One of the more interesting Bible curiosities in scripture is that all of our weather problems can be traced back to the flood of Noah. Prior to the flood, there were no huge mountains, no jagged cliffs, only gentle rolling hills. The earth was perfect. Mountains are not mentioned until the flood. In fact, it had never rained prior to the flood. 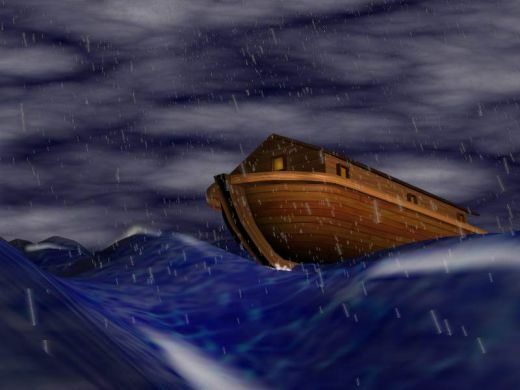 So Noah had quite the faith to build a huge boat when the world had not yet seen rain, much less a flood! When the worldwide flood came, water fell from the sky but a massive amount of the water came from below the earth’s crust, pushing up mountains and drastically changing the topography of the earth. Since the flood, the weather is affected by the high mountains and deep valleys that wreak havoc with the world wind patterns. Therefore, all of today’s tornadoes, hurricanes, tsunamis, floods, etc., are due to the sinfulness of man on earth 5,000 years ago. Much like the sin nature was passed down from Adam to each and every human, the weather problems that began after the flood still dog us today. But God, always in ultimate control of every circumstance, uses weather for His purposes. 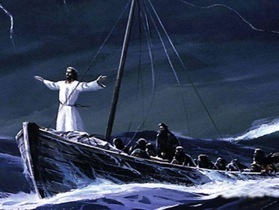 He allowed Paul to be driven by a great storm to be shipwrecked at Malta in Acts 27. God used hailstones to kill most of the Ammorites when David fought them in Joshua 10. In the Tribulation, the Two Witnesses have the power to shut up the sky (Rev 11:6), and later after they die, 100 pound hailstones devastate the earth (Rev 16:21). The Greek word for rebuke, “epitimao,” used in the above verse is the same Greek word used when He rebuked demons while He was on the earth– confirming bad weather was not originally from God. In the Millennium, with Jesus reigning on the Jewish Throne in Jerusalem, there won’t be any more bad weather. This is because during the Tribulation, all the mountains, except Mount Moriah in Jerusalem, will be gone! Therefore, during the Millennium, the earth will be more like the originally created earth, more smooth in shape, and not causing weather problems during Jesus’ reign on earth as King. But currently, in the Church Age, the Lord has yet another reason to use the weather for His purposes. 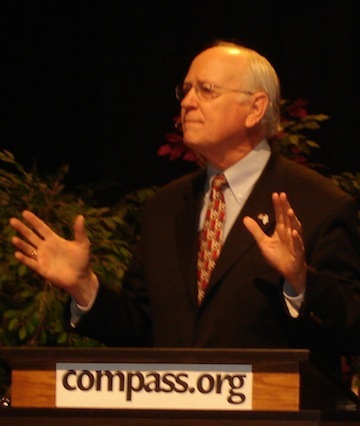 Dave Reagan, in an outstanding Steeling the Mind Bible Conference presentation, shows how since 1948 (Israel’s rebirth) the worst weather in the United States is almost always linked to misguided political decisions from Washington. Trust me, this presentation makes the hairs stand up on the back of your neck! His case is so strong, everyone who watches this DVD inevitably turns on the Weather Channel every time the U.S. tries to make Israel give up land or change her borders. The latest round of pressure on Israel from the White House, if Dave’s assertions are correct, has produced the recent massive tornadoes and flooding in the U.S. We would agree. We need to go back to fully supporting Israel before it’s too late! This is a DVD every Bible-believing American should watch and pass around! As far as the future of the world is concerned, Israel is what to watch. So goes Israel, so goes the world. And for those that are against Israel…until the Rapture… just watch the weather!